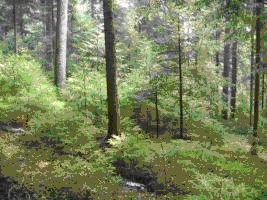 Swiss forest stands can fascinate anyone with their diversity of species. They have a rich vertical structure, with most of the stands having high thickness and width, and including both mature trees and trees from the younger generation. The forest economy is based on a non felling scheme, and the process of regeneration is carried out according to natural methods. The Swiss society knows how to benefit from the forest, taking from it all the best it has to offer, but at the same time guaranteeing the correct development of multi – species stands. 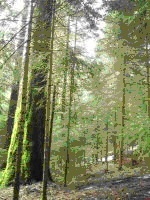 Anyone who loves nature can enjoy these forests, which by experts are said to have a through fell structure. This means that we can meet all the phases of development in these forests, from seedlings to old, mature trees. All these different layers overlap to form a natural wall which protects forest from the negative effect of external factors. These forests are very resistant to strong winds. In Switzerland, the harvested timber amounts to 5,000,000 m3, which represents approximately 70 % of the annual increment. In addition to protection against natural hazards such as erosion and flooding, forests can infiltrate air and water, thus contributing to maintaining their purity. Rivers flowing through Swiss forests are clean and the water in them is suitable for direct consumption. 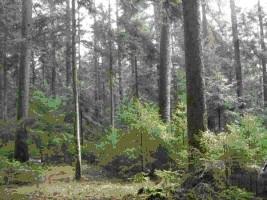 Forests also provide a place of recreation for the residents. Everyone has the right to enter the forest and collect the fruits of the forest for their own needs. 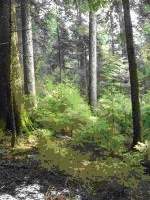 Admission to all forms of forest ownership in Switzerland is free of charge. Collecting fungi is of little importance for forest management, but may be important in local communities. The value of collected mushrooms in the forests of Switzerland is estimated annually at 8 million Swiss francs. Forests in Switzerland, because of their favourable climatic and geological conditions, are some of the most impressive in Europe. Switzerland is a country where the level of forest sciences is at a very high level. 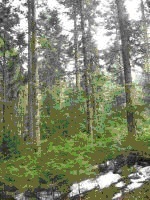 Residents of Switzerland appreciate all the features offered by the forest. The protective functions of the forest that provide shelter against floods, snow avalanches and rock falls make it possible for people to have a secure life in the valleys. The Swiss spend a lot of free time, during weekends and holiday periods, wandering around impressive woodland areas. They can enjoy the forest without exposing it to destruction, fires and littering.